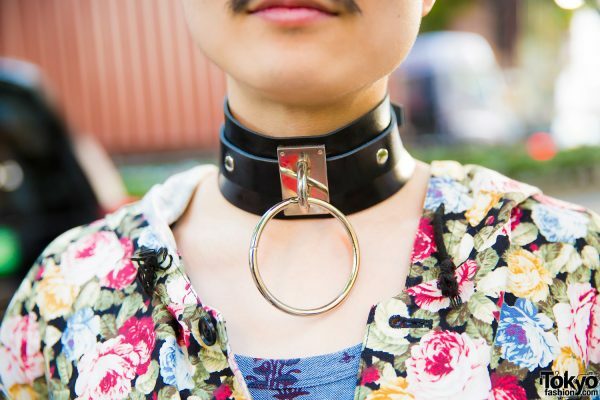 Here’s Ohshi, whose bold street style has been featured on this site on several occasions. For this outing, the Tokyo Decadence staffer was difficult to miss in his striking outfit that featured multicolored floral prints. 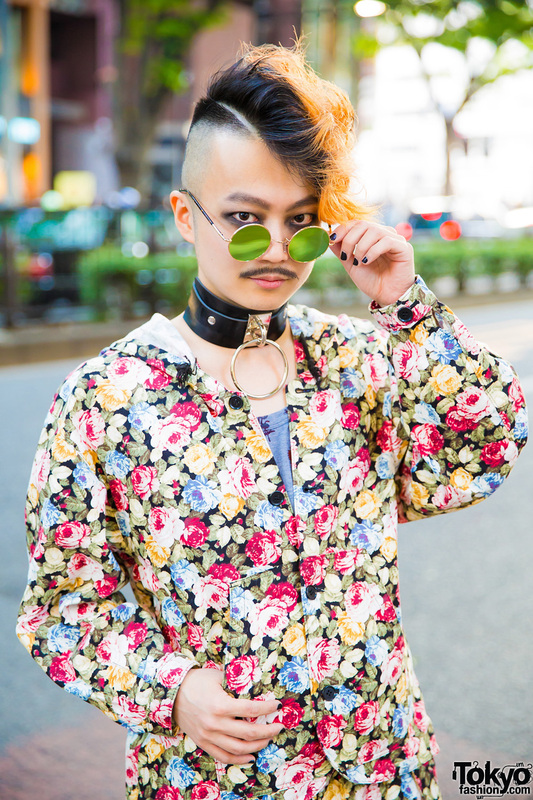 The composer, DJ, and pianist stepped out in a Milkboy floral hooded jacket with long sleeves and a kangaroo pocket. 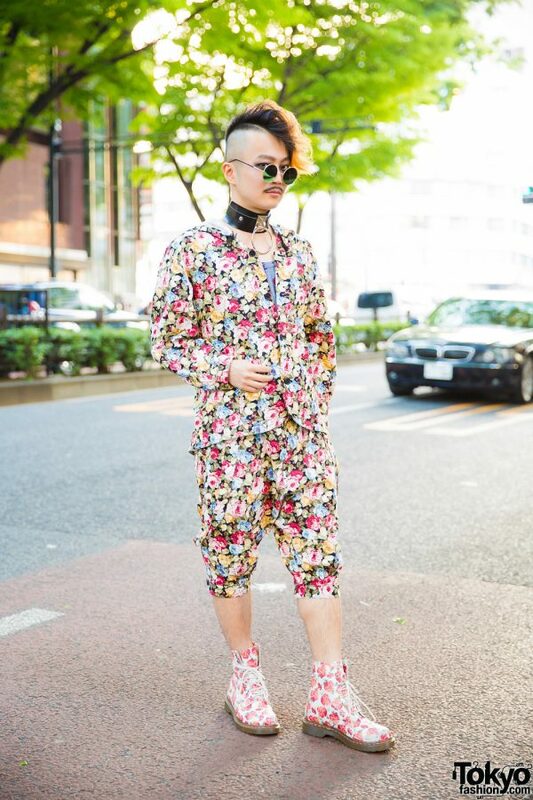 He styled it with matching Milkboy floral cropped pants and a Vivienne Westwood Man printed top. 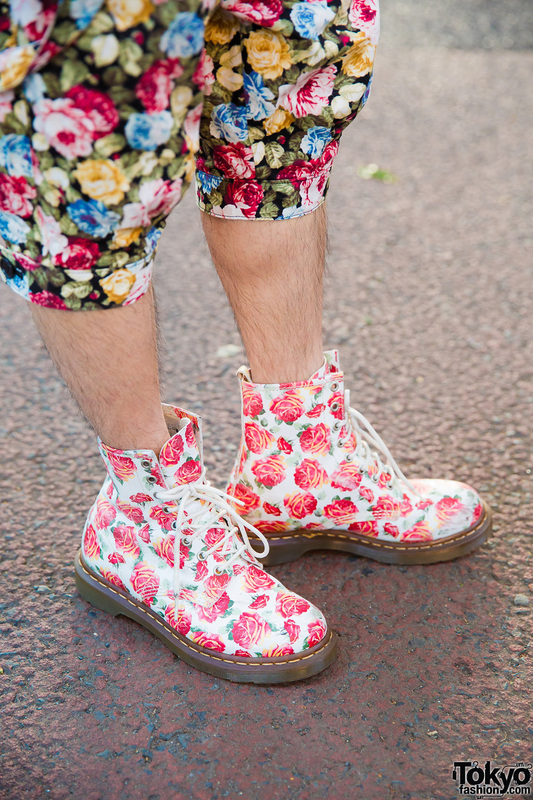 Ohshi continued the floral motif with a pair of Dr. Martens boots, which featured white laces and a red rose print. 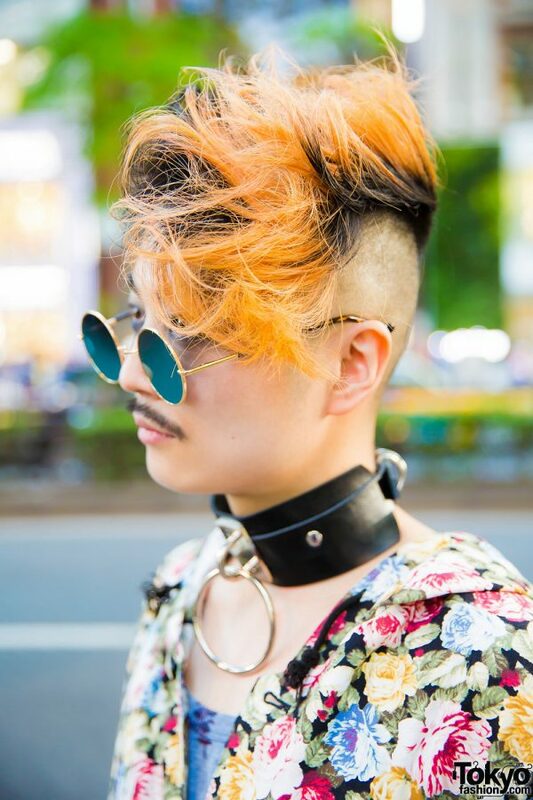 He completed his look with an orange-and-black mohawk, round sunglasses, and a BeautiK wide black leather choker with a silver buckle and a large O ring. 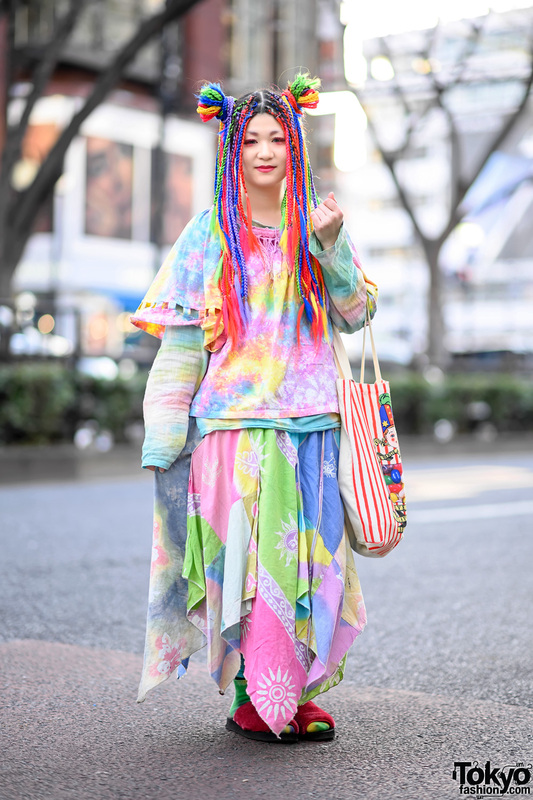 Ohshi’s favorite fashion brands include Milkboy and Vivienne Westwood. He also loves listening to classical, house, and electro music, as well as songs from Adam Lambert. 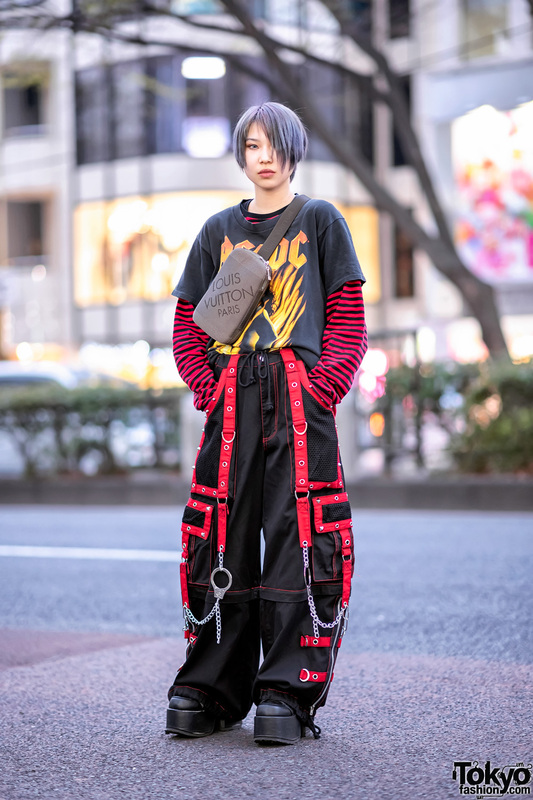 Follow Ohshi on Instagram and Twitter for his social media updates.